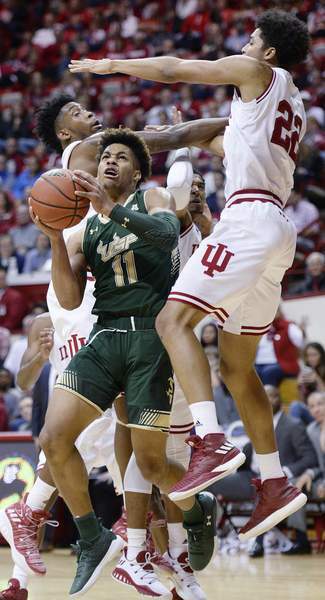 BLOOMINGTON – Robert Johnson scored 21 points and Juwan Morgan added 15 to help the Indiana Hoosiers overcome a rough start and pull away from South Florida 70-53 on Sunday. Morgan also had 10 rebounds as the Hoosiers (2-2) won for the second time in three games, getting good free-throw shooting and a strong second-half defensive performance to secure this one. Peyton Banks scored 18 points to lead South Florida (2-2). Malik Martin finished with 11. But the Bulls got into early foul trouble early in the second half, put the Hoosiers in the bonus with 11:32 to play and couldn't fight their back against Indiana's tougher veterans. It was a rugged game from the start. There were more combined turnovers than baskets for most of the first half. And Indiana, which trailed 34-33 at halftime, couldn't retake the lead until Morgan's driving layup made it 45-43 with 12:16 to go. 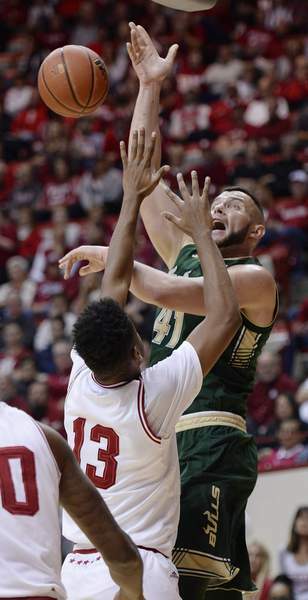 The Hoosiers then took advantage of six straight missed shots by South Florida, scoring nine of the next 10 points to take a 54-44 lead with 8:27 left. Indiana closed it out with an 8-2 spurt that extended the lead to 62-49. South Florida spent the rest of the game futilely trying to catch up and couldn't get closer than 11 the rest of the way. The Bulls scored just 19 points in the second half on 6 of 25 shooting. South Florida: New coach Brian Gregory was seeking his first big win since joining the Bulls in March. He'll have to wait a little longer. 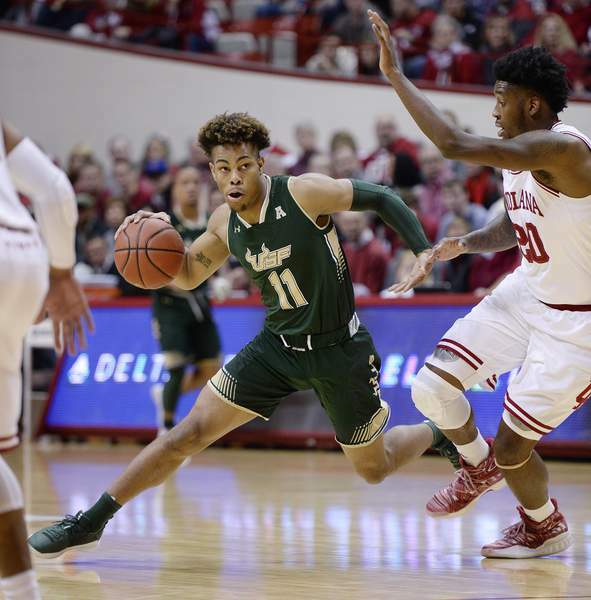 But with 10 new players on the roster, Gregory is off to a better start than many probably suspected, and Sunday's game showed South Florida will be competitive as they get comfortable playing in the new system. 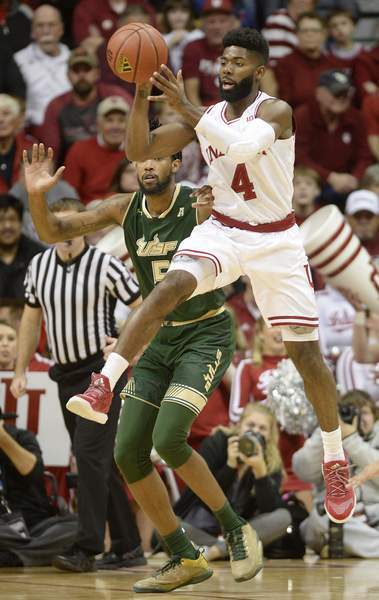 Indiana: The Hoosiers look like they're starting to round into form under first-year coach Archie Miller. 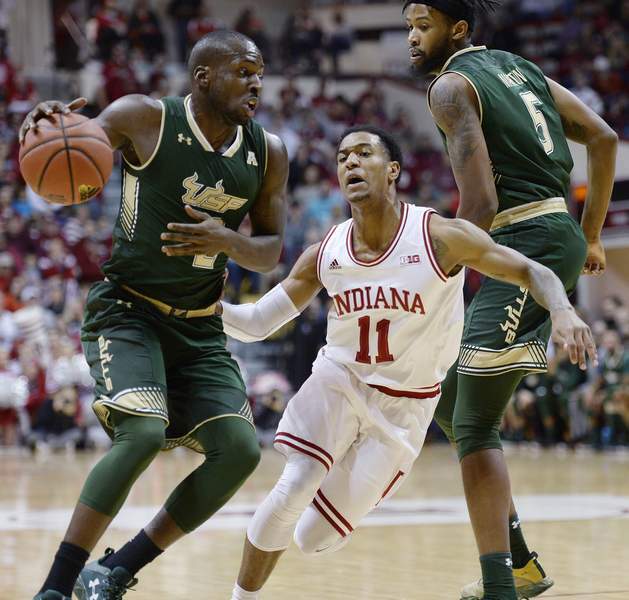 After a stunning loss in their season opener, the Hoosiers have looked better defensively and have reduced the number of 3-pointers allowed in each of its last three games. That's a good sign for Indiana. Sunday's game pitted two coaches who have a rather unique connection. They were the previous two coaches at the University of Dayton. The Flyers hired Gregory in 2003 and he stayed through the 2010-11 season, going 172-94 while making two NCAA Tournament appearances and earning three NIT bids. He won his 250th career game on Wednesday. 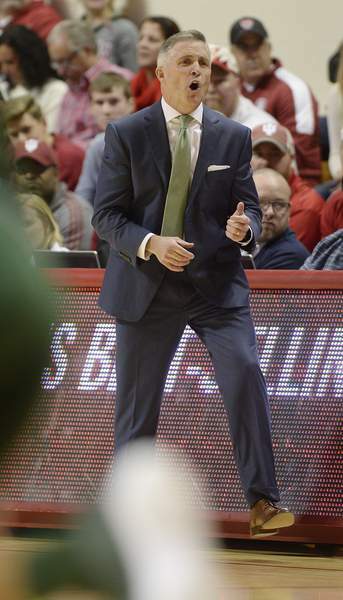 Miller succeeded Gregory and stayed there until being hired by Indiana in March. Miller went 139-63 at Dayton, leading the Flyers to four straight NCAA Tourneys before taking the Hoosiers' job.